There are two (2) ways in which you can view the computers and devices that are currently part of your network. 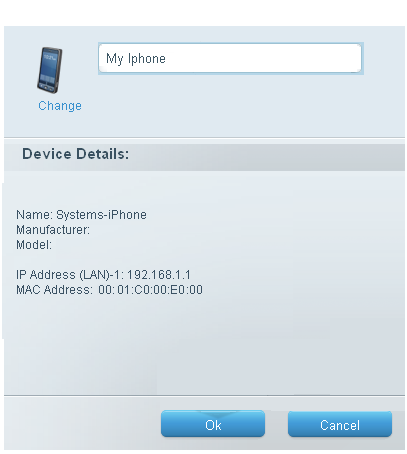 You can either access the Device List for a graphical overview or through the DHCP Client Table for a detailed display. It is important that from time to time you view the connected devices to ensure that only those with access to your network are there. In the case of unsecured networks, there are may be other unsolicited users that can infiltrate your connection or utilize your network’s bandwidth. 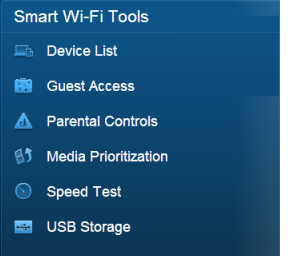 On the Linksys Smart Wi-Fi Account home page, click Device List under Apps on the navigational pane. The Device List will open and the list of all devices that have accessed the network or are currently connected will be displayed. NOTE: You will be able to tell the device availability by the difference of its Offline/Online status. You can also remove an offline device by clicking the X button on each block. On the Device List, double-click on an item on the list to display the device details. You will be able to see the Manufacturer name, Model number, as well as network details of the device. 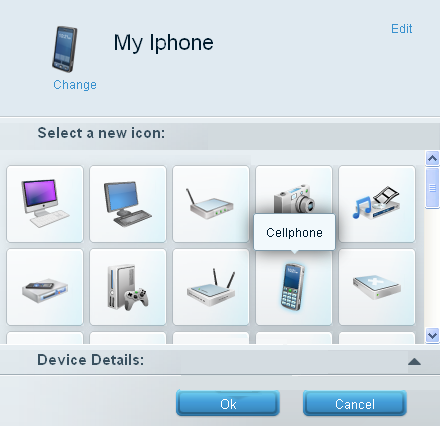 You will be able to change the device name and icon via the Edit link. From here, you can personalize how it will look like on the Device List. To change the device name, click on the Edit link at the right side of the device name. On the field provided, replace the default name with the preferred one. 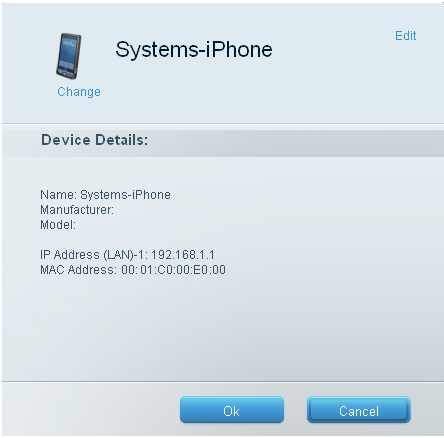 In the example below, “My Iphone” was entered as the new device name. Once done, click Ok. The icon is easily changed by clicking on the Change link right below the current graphic icon of the device. A selection of icons will open and you will be given the option to replace the current one. Once done, click Ok to save the changes. The Dynamic Host Configuration Protocol (DHCP) Client table displays all the information about the computer and network devices utilizing the router as a DHCP Server. 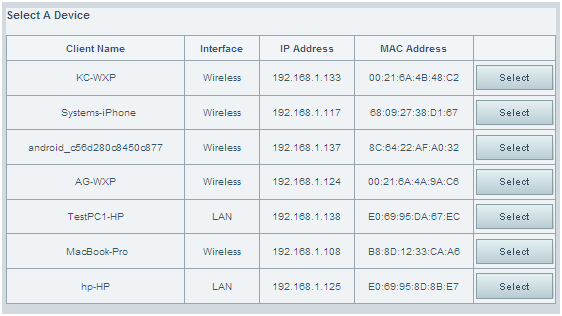 QUICK TIP: The View DHCP Client Table is mainly used to set a Demilitarized Zone (DMZ) rule on your network. To know how to configure a DMZ setup, click here. To check the detailed list of connected devices on your computer, follow the steps below. 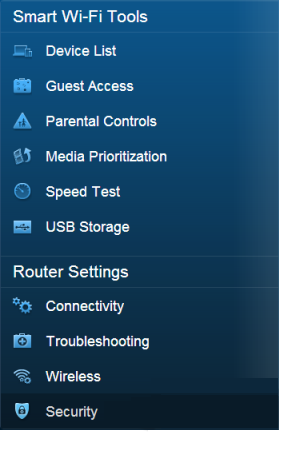 On the Linksys Smart Wi-Fi Account interface, click on Security. On the Security page, select the DMZ tab. 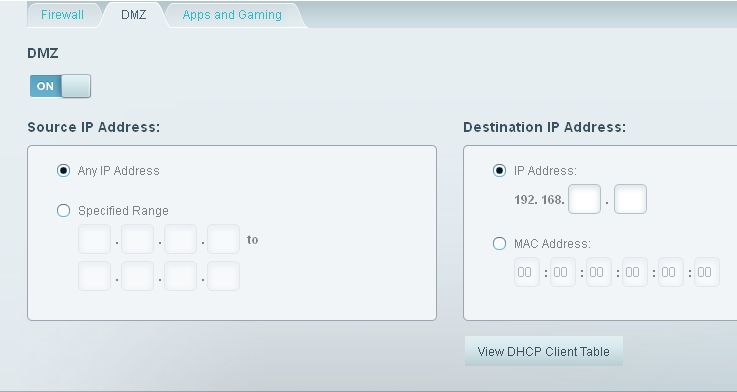 Make sure that the DMZ is enabled to activate this feature and click on the View DHCP Client Table button. A window will appear to show the list of the connected devices. 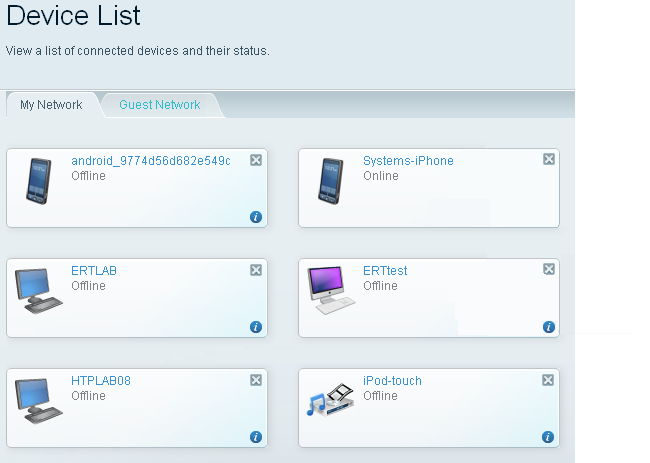 You can check the list of devices currently connected and the network details of each device. With the Linksys Smart Wi-Fi's interface, you can easily oversee and manage all the computers, smartphones, gaming devices and other devices that are connected to your router. You can add smart devices like Wi-Fi refrigerators and Smart TV to your home without a hitch. To know more about connecting devices to the network, click here.